We know, we know - for the first time in the history of our blog, we missed our Weekly Roundup post because we were both so crazy busy with work. 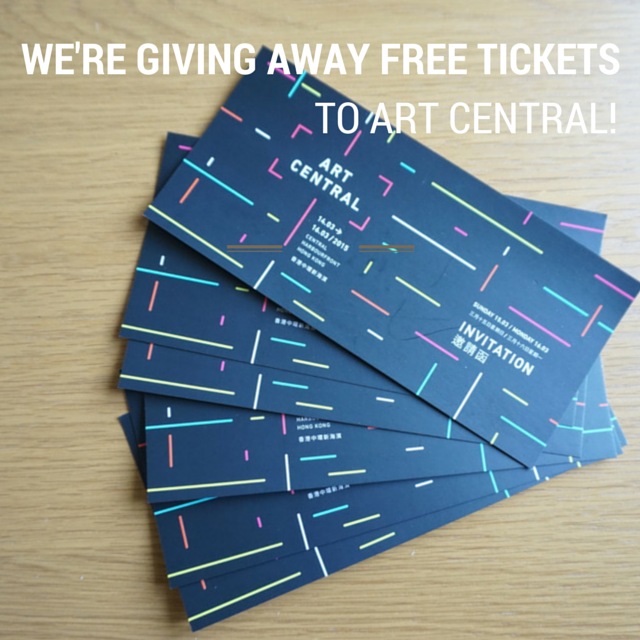 But to make it up to you guys, we're giving away 10 sets of tickets (valid for two people) for free to Art Central Hong Kong, Hong Kong's Contemporary Art Fair (to be used on on Sun 15 March and Mon 16 March)! With over 75 galleries from 21 countries, there is bound to be something you'll enjoy. All you have to do is like our Facebook page here and the free ticket post on that page to win (or alternatively, follow us on Instagram and comment in the ticket photo on our IG account)! Last weekend, my boyfriend and I headed to Macau to watch the last ever showing of Taboo, a self-described cabaret show "of secret fantasies" in the City of Dreams. It surprisingly exceeded my expectations (I say surprisingly, because I went to watch the risque Crazy Horse in Paris last year and was seriously disappointed by it), with the stunning vocals of Trenyce, one of the Finalists of American Idol, as well as an impressive cast consisting of a sword swallower, pole dancer, contortionist couple, aerial straps couple, and variety of burlesque dancers. Being into aerial arts myself, I found it a shame that almost all of the cast appeared to be imported in from overseas, with very little local, home-grown talent. Given that China is incredibly impressive when it comes to Chinese circus performances and gymnastics, I'm hoping in the future I have the opportunity to see more of their performers get involved in upcoming shows.